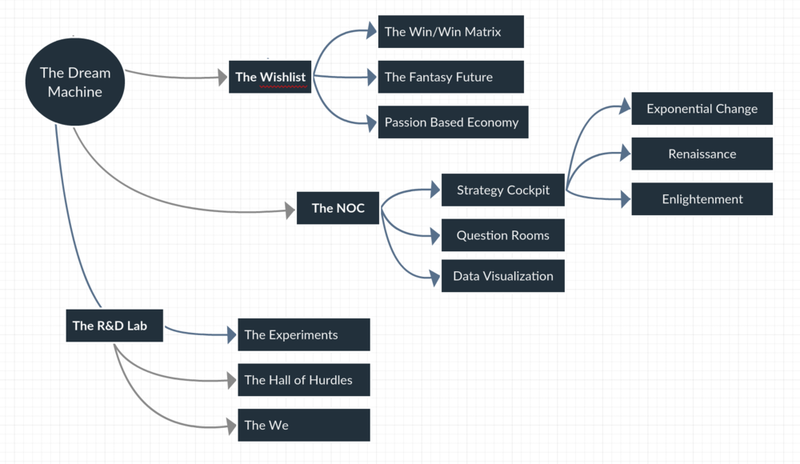 The Dream Machine is a methodology for optimizing the future using data visualization. 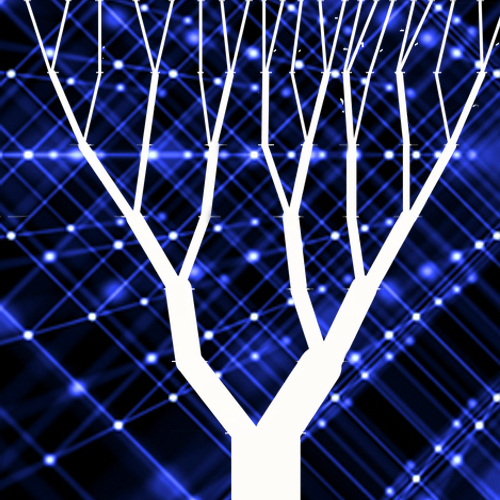 The Dream Machine is at it's core a map, connecting individuals -- looking to optimize our future -- with companies and resources and vice versa. The interconnected database uses two identical sets of tools, one that is micro (your compass within) and one that is macro (virtual monitors to visualize group project data and visualization schemes to better understand our ideas). The methodology works to follow strategies and synergies across projects. The Dream Machine is a 10 year collaborative project with a simple evolution. We dream of what we want. We see what is possible with what we have. We track everything so we can learn more quickly together. Eventually the project will look more like a virtual campus (in augmented and virtual reality) which is accessed and constructed based on each participants needs. We see the project as a powerful way for individuals to use new technology innovate with the support of companies and each other. What is possible in the future when we combine inner wisdom, emerging technology and strategy to fill in the gaps of what is missing? The Network Operations Center is at the heart and soul of the dream machine. It is where we watch what we are building, question what we are doing, track our failures and align on big picture overlaps. Watch real people like you dream and actually start testing #PlanA. Find out what happens when we combine new technology with inner wisdom. "What is #PlanA and how could we do it?". Most of the work we will contribute through the experiment will likely be in the area of "soft science" (sociology, neuroscience, anthropology, modern creativity, phenomenology, health, psychology, political science, art etc.) of which we all have human experience. We have 3 current experiments in the dream machine.